Our usual shipping is UPS Ground. Certain products which do not ship UPS Ground will be specifically stated on that product page. We print our own UPS shipping labels and have daily on-site UPS pickup to ensure quick shipping times. 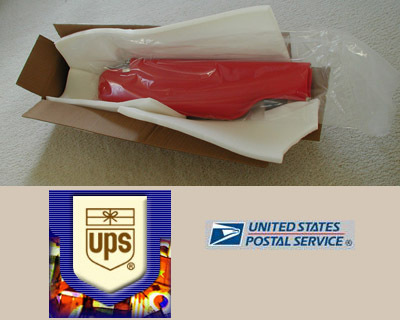 US Postal Service is used for shipping outside the United States. Feel free to call us or send email if you prefer another shipping method. We can work with you to select custom shipping. We carefully package for shipping. 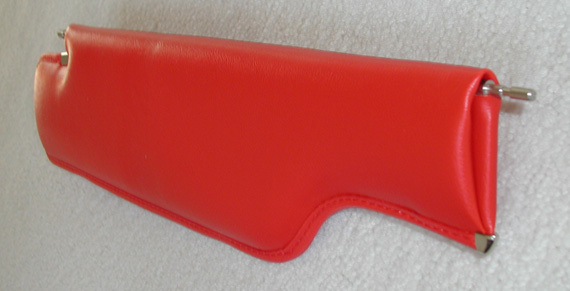 All sun visors are packaged in a heat sealed "poly" bag and protected by padding material. Standard US shipping and handling charges via UPS Ground. We have Scheduled Daily Pickup service from UPS to ensure the lowest shipping rates based on weight. We add only $3 over the UPS charge for packaging and handling for the entire order. Shipping costs are calculated and displayed at cart checkout. Other UPS delivery methods in addition to UPS Ground can be arranged by email or call at 716-686-0577 (8AM to 5PM Eastern Time, Monday through Friday).